The mapping of the human genome in 2001 was a significant milestone for the science of epigenetics and catapulted us into a new world of research. The opportunity for individuals to learn their DNA has become easily accessible through direct-to-consumer companies. While this has great potential for health outcomes as we learn more about the science, it can also lead to the misuse of supplements to compensate for genetic variants, also known as single nucleotide polymorphisms (SNPs), which may or may not be causing any health issues. 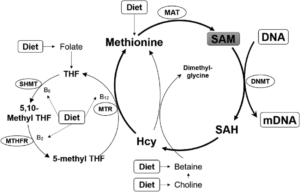 The methylation cycle is arguably one of the most important biochemical pathways in the body. It plays a role in an endless amount of functions in the body including immune function, detoxification, gene expression, energy production, inflammation, hormonal balance, and neurotransmitter function to name a few. Balancing methylation is a highly complex dance that involves many different genes and pathways. Think of it as a game of dominos where each one has to be lined up just right in order for them to continue to fall. This is similar to how enzymatic reactions work in the methylation cycle. Without taking into consideration the methylation cycle in its entirety, the dominos could stop falling and as a result cause other imbalances. This is one reason that people are often very sensitive to high dose supplementation and need to work with a practitioner who can see the big picture and ease them into it. Discovering that you carry one of the SNPs for MTHFR and starting to supplement with large doses of folate or B12 could actually make you feel worse. The primary goal is supporting the methylation pathway by reducing/removing toxins and other burdens that drain essential nutrients while nourishing the body with a variety of nutrients that not only support methylation, but also detoxification, immune regulation, as well as gut health. Using food as medicine to support methylation is a safe place to start, especially for those who can’t tolerate supplementation. It is also a good long-term approach for those who are using supplementation to work through imbalances or for maintaining balance afterward. A methylation supportive diet and lifestyle would also benefit those who know they have SNPs (such as MTHFR), but maybe aren’t experiencing any negative health outcomes from them and would like to take a preventative approach. To learn more about the Methylation Diet and Lifestyle and whether it would be a good fit for you, you’re invited to attend our next Methylation Diet Class being held on Thursday, May 17th at 6:30pm. Please call our office to register for the class or to schedule an appointment. 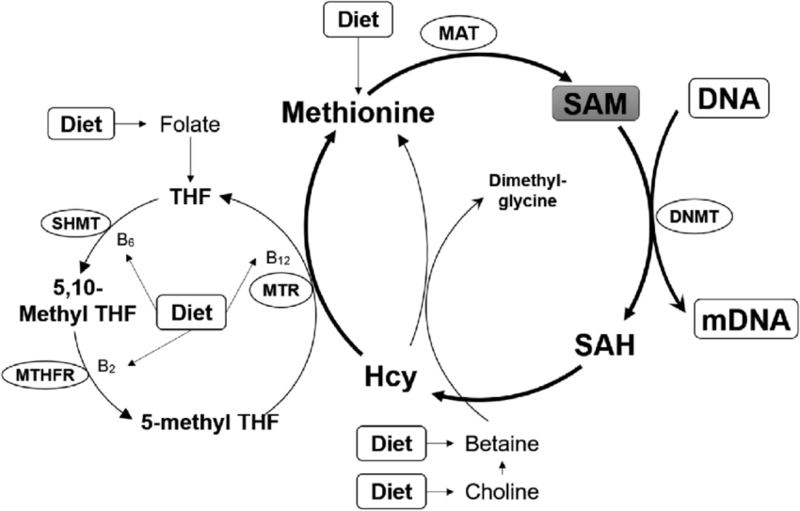 Zhang N. Epigenetic modulation of DNA methylation by nutrition and its mechanisms in animals. Animal nutrition. 2015 Sep 1;1(3):144-51. The Ketogenic Diet (KD) has gained a lot of attention lately and for good reason. 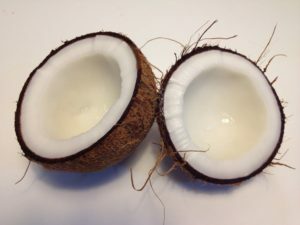 Its therapeutic use, especially relating to metabolic and neurological conditions, has a lot of potential benefits and is currently a hot topic in scientific research. The KD was originally developed by the Mayo Clinic in the 1920’s for the treatment of epilepsy to control seizures. In addition to treating epilepsy, research has shown that the KD also improves mitochondrial function and while the exact root cause of autism is not known, recent studies are finding that mitochondrial dysfunction is an important factor that contributes to symptoms. 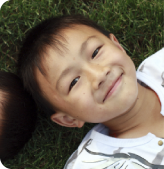 There are limited clinical studies on the effects of the KD on autism as this is a new area of research, but so far the results looks promising, especially for improved cognition and behavior, as well as those who experience seizures. A recent study compared the effect of the Modified Atkins Diet (MAD), a gluten-free/casein-free diet (GFCF), and a control diet and found that both the intervention diets showed significant improvement in autism-related test markers in comparison to the control diet.1 However, the MAD scored better results in cognition and sociability when compared to the GFCF diet. While this is only one small study, these results open the door for more research on the potential benefits of KD’s on autism, as well as the combination of both a KD and GFCF diet. There are currently several different variations of the KD being used clinically. The classic KD is high in fat, adequate in protein, and low in carbohydrates with a ratio of 4:1 (fat: protein + carbohydrates) or 90% fat, 6% protein, 4% carbohydrate. This is the most structured version of diet and requires foods to be weighed using a food scale. Other modified versions of the diet have been adapted with macronutrient ratios ranging from 4:1 to 1:1. The MAD, used in the mentioned study, was developed by John Hopkins Hospital as a less restrictive alternative that doesn’t have limits on calories or protein with a ratio of approximately 0.8-1:1. This makes the MAD easier to manage, especially when eating out. The nutritional approach of the KD is to mimic fasting and force the body into using fat as the primary fuel source instead of glucose. In this metabolic state, fats are converted to fatty acids and the liver produces ketone bodies, which can be used for energy. Ketone bodies are especially beneficial as an energy source for the brain because they can cross the blood-brain barrier. When there are a certain number of ketones in the blood you reach what is called ketosis. The goal of the diet is to maintain ketosis by restricting carbohydrates and sustaining the appropriate ratio of macronutrients. The exact mechanisms that make the KD beneficial for autism is not fully understood, but we do know that it improves mitochondrial function while reducing inflammation and oxidative stress. One mechanism that is thought to factor into the benefits of the KD for autism is the calming effect that ketones have on nerve cells and their neuroprotective properties, which may help reduce autism-like behaviors and symptoms. It’s important to note that the KD is not appropriate for everyone and you should consult with your doctor before starting the diet. There are several health conditions that are contraindicated and should be considered before starting a KD. If you are interested in learning more about the KD and whether it could be beneficial for you or your child please make an appointment with your doctor. 3. Cheng, N, Rho, JM, Masino, S. “Metabolic Dysfunction Underlying Autism Spectrum Disorder and Potential Treatment Approaches” Front Mol Neurosci. 2017; 10: 34.